Chomsky established himself as a leading figure in the study of linguistics with his theory of "transformational grammar," which contends that all languages conform to a type of universal structure innate to the human brain. This body of work, which has come to be known as "Chomskyan linguistics," has impacted fields of study in multiple disciplines including psychology, philosophy and genetics. Chomsky's major linguistics publications include Syntactic Structures (1957), The Sound Pattern of English (1968), Studies on Semantics in Generative Grammar (1972), and Knowledge of Language (1975). Chomsky is more widely-known for his often blistering critiques of United States foreign policy. A self-described "libertarian socialist," Chomsky has written prolifically on themes related to what he regards as the programmatic and relentless exploitation of Third World resources by First World elites. 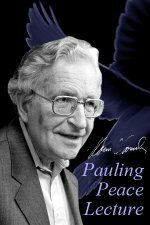 Beginning with American Power and the New Mandarins (1969), a book which reflected his intense opposition to the Vietnam War, Chomsky has published widely on a number of socio-economic and political topics. 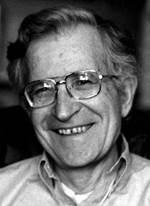 In the fifty-plus books that form his politics-related bibliography, Chomsky has frequently reflected upon such themes as the development of propaganda mechanisms and the erosion of democracy in Western societies, the continuing clash of powerful interests in the Middle East, and the subjugation of native populations in Central America, Africa and Southeast Asia.